Come and discover the neighbourhood of Garland Residence and learn about the life, malls, and people in the area. Find out more about the schools and properties that are available in the area. Browse through our superb properties For Sale in Garland Residence. Browse through our superb properties For Rent in Garland Residence. 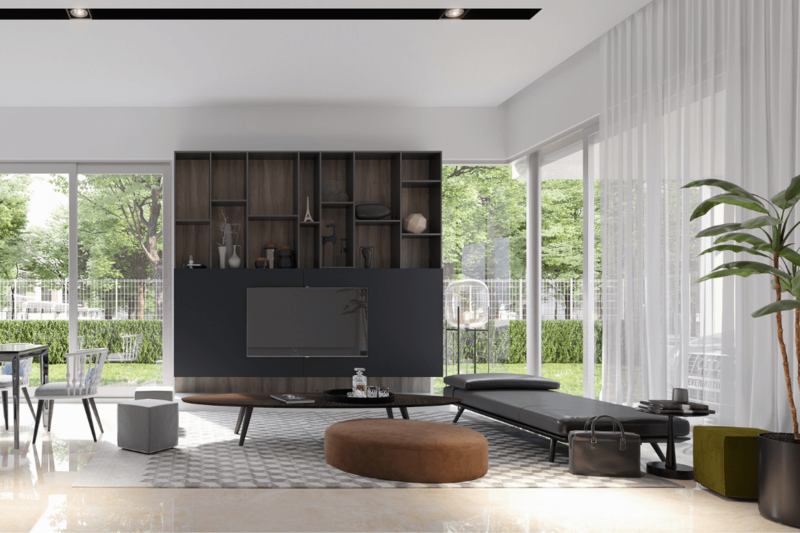 Garland Residence represents GuocoLand (M) Bhd’s latest offering in Klang Valley’s increasingly vibrant northwest growth corridor. 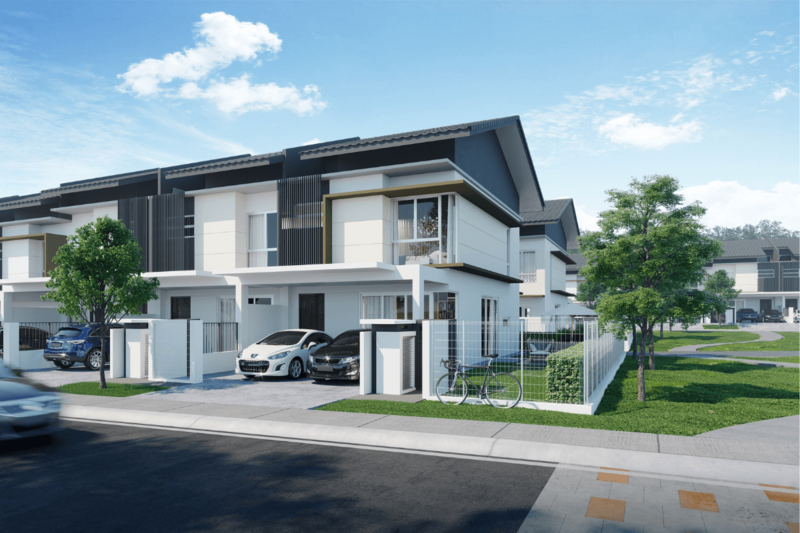 Situated within the developer’s flagship township of Emerald Rawang, it offers double-storey terrace houses designed as “homes within a garden”. 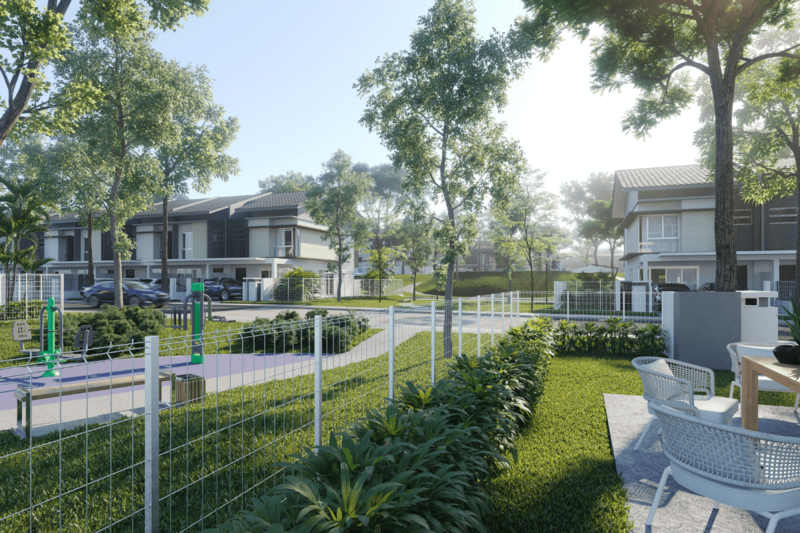 In total, Garland Residence features 299 freehold residential units spanning 23.5 acres of garden landscaping, for a fairly low plot ratio of 12.7 units per acre. Each unit is 20ft x 60ft, designed according to elegant, modern aesthetics with built-ups from 1,538 sq ft to 1,539 sq ft. 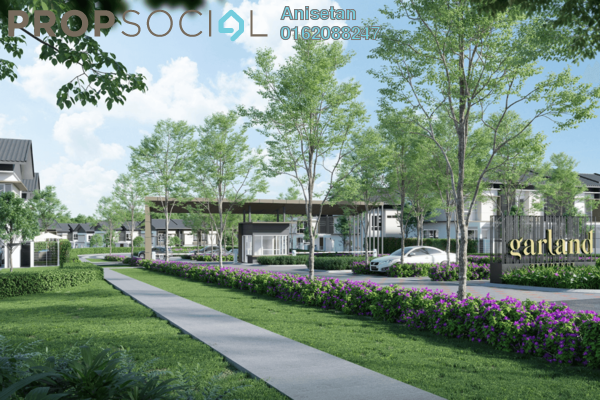 In total, the project comprises 247 intermediate, 32 end and 20 corner units, with its freehold status offering more value to purchasers than similar leasehold developments in the area. Two layouts are available, offering 4-bedroom, 3-bathroom configurations. The launch also lives up to its name, calling to mind a wreathe of leaves or flowers worn for ornamental purposes. 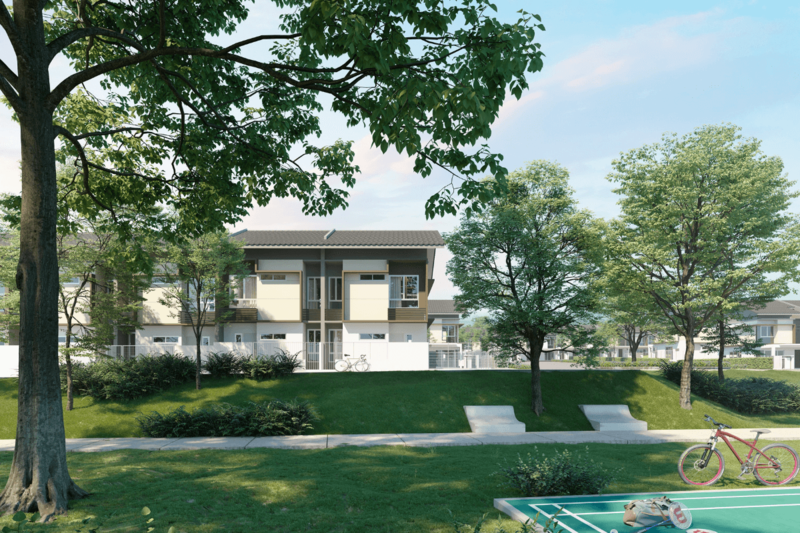 Garland Residence homes sit amidst an abundance of natural features, including the 1.1-acre Garland Park and a linear park with integrated par course or fitness trail. 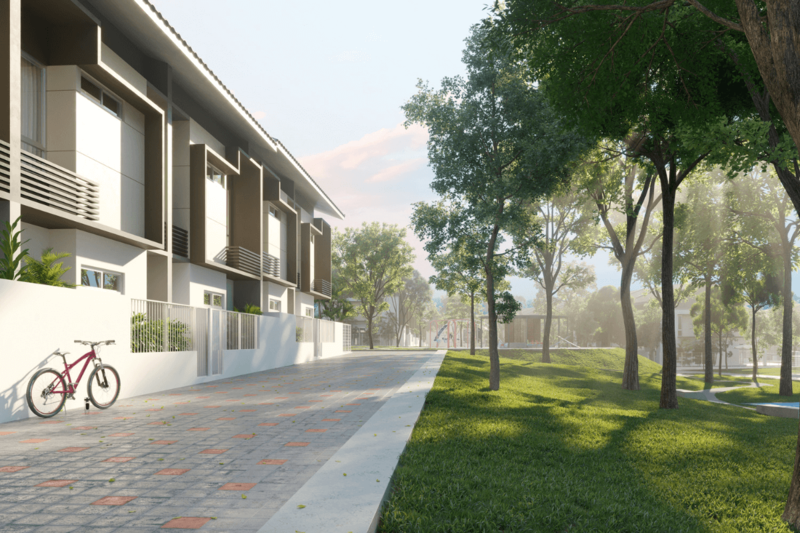 In addition, 60 homes adjacent to Garland Garden offer dual-frontage designs, with accessibility to and views of access roads as well the surrounding greenery. 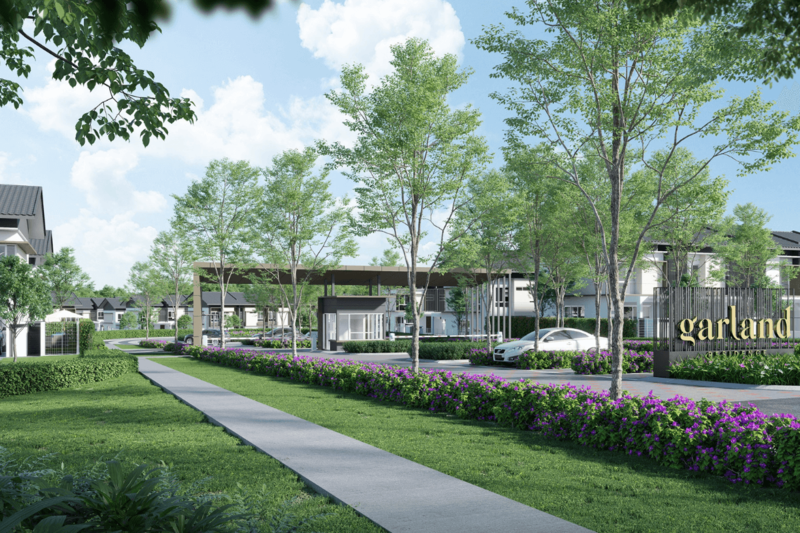 The project also offers connectivity to Emerald Rawang’s nearby 36-acre Central Park, just 50m away. 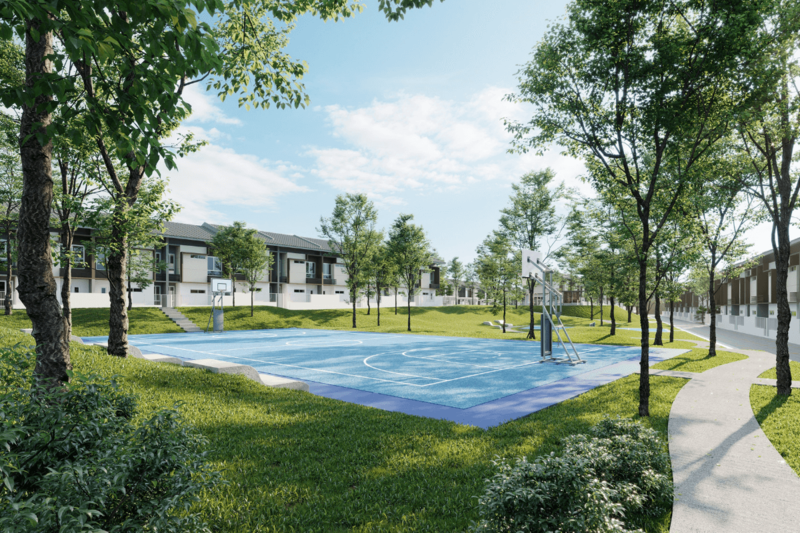 Other amenities within the project itself include a playground, outdoor gym, badminton court and multipurpose court. Garland Residence is designed with a single point of entry, maximising internal security for residents. 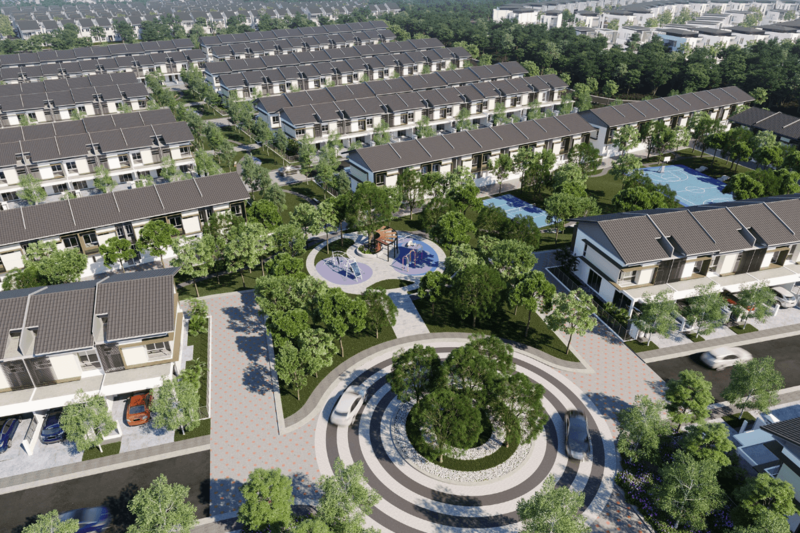 A major pull factor for the project is its inclusion within GuocoLand’s Emerald Rawang township, specifically in Emerald West, accounting for its connectivity to the township’s Central Park and 0.7-acre Emerald Club. Designed as an emerald gem embedded in stone, the Emerald Club’s open spaces and opaque façade allow residents to enjoy views of the Central Park while staying cool. Scheduled for completion in 2020, the club’s facilities will include tennis courts, swimming pool, kid’s pool, jacuzzi, sauna and barbecue pavilion. Meanwhile, the Central Park features outdoor amenities such as a 4km jogging track, cycling paths, reclining benches, a roller-skating park and futsal court, as well as 15 acres of water features. Distance from Kuala Lumpur and its surrounding suburbs such as Petaling Jaya and Subang Jaya is often a concern for prospective purchasers reviewing properties in Rawang. These concerns have been addressed to some extent by the opening of the Kuala Lumpur–Kuala Selangor (LATAR) Expressway, which cuts travel time to the city to under an hour. 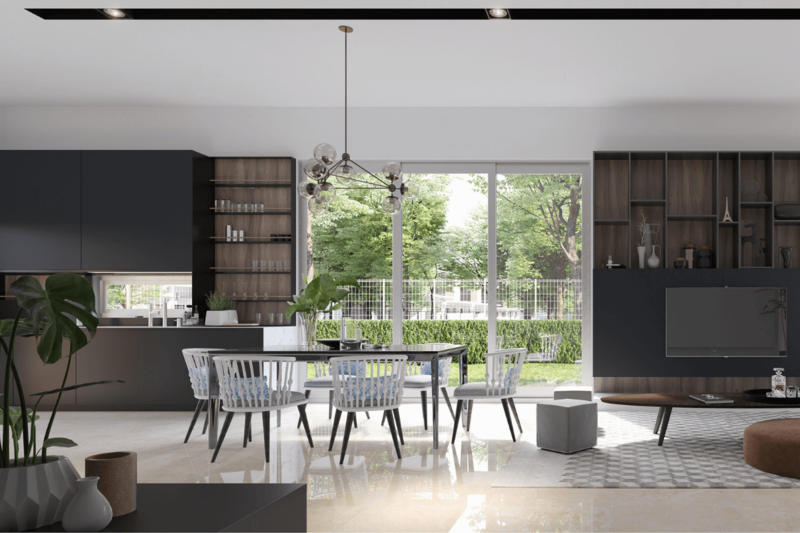 As a growing residential hotspot in Klang Valley, Rawang includes numerous nearby educational, retail and medical amenities, such as UiTM’s Sungai Buloh campus and the upcoming Straits International School, KPJ Rawang Specialist Hospital and Anggun City. 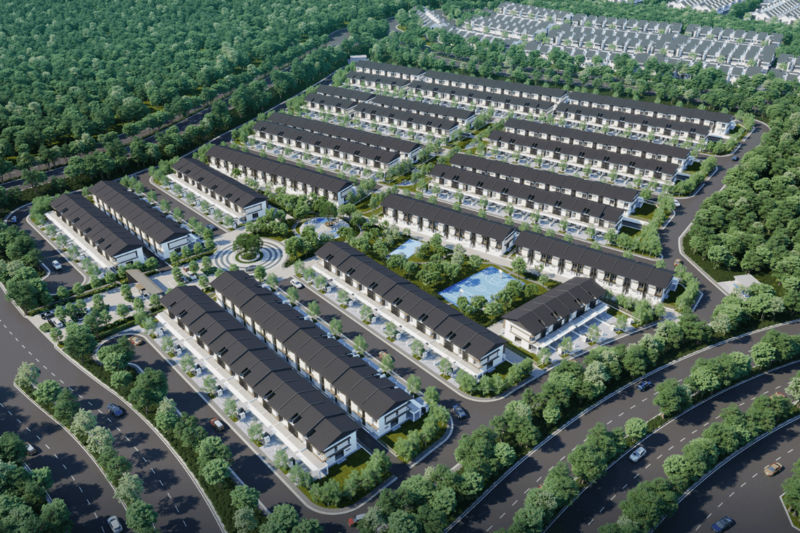 The 1,000-acre Emerald Rawang township also benefits from GuocoLand’s continuing commitment to the area, including plans for the modernisation of key elements of its masterplan, spanning some 360 acres with a total gross development value of RM2.5 bil. In addition, the developer has actively invested into the infrastructure surrounding the project, including road widening and an access road connecting Emerald East to Emerald West. This is reported to reduce travel time from the township to nearby major routes such as Jalan Batu Arang. With PropSocial, everyone can now find their dream home. Looking to buy, sell or rent a home of Garland Residence? Fill in your details and we will get right back to you!